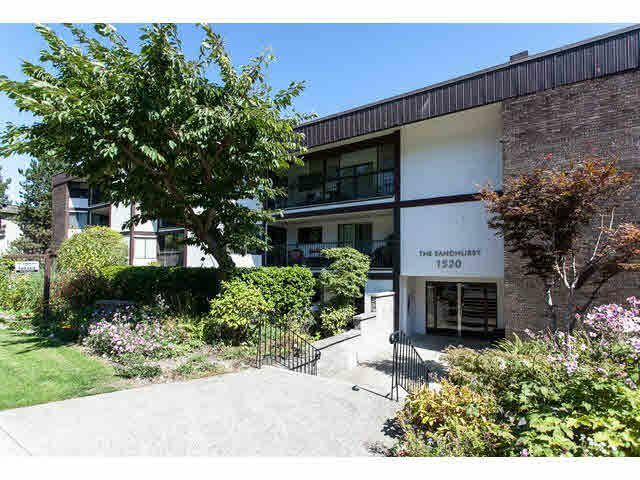 THE SANDHURST - Spacious & updated ground level, 2 Bed/2 Full Bath, 1009 sq ft condo unit - located in the heart of WHITE ROCK - Immediate Possession!! Lovely renovations included new kitchen incl countertops, tiles, appl; bathrooms, and l aminate flooring. With an open floorplan - the kitchen has been opened up with a handy sit up island bar. This suite features a walk-out patio and is accessible from three separate rooms! Great storage unit off the patio to place your gardening tools & patio furniture! Walk to shools (H.T Thrift Elem. & Semiahmoo Secondary), shopping, transit, and the Beach! Quiet no thru street - All ages welcome - No pets or rentals.